Home Directs Facility Management Is it feasible for auto companies to make commercial electric vehicles? Is it feasible for auto companies to make commercial electric vehicles? 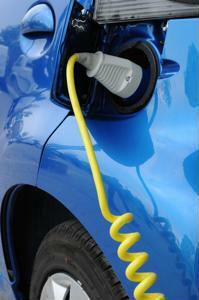 For the past decade or so, the procurement process has been a chief concern for many electric vehicle manufacturers. Their ambition to create energy-efficient vehicles completely devoid of fossil fuel usage is admirable, but acquiring the raw materials needed to create batteries capable of making such an automobile a reality is no easy endeavor. Car production company Tesla appears to be leading the way, but will commodity costs dampen its initiatives? For Tesla CEO and Chief Product Architect Elon Musk, the solution resides in ingenuity. Bloomberg Businessweek cited a statement within a document Musk wrote to shareholders, foreshadowing a factory abiding by an operation model that hasn't been employed by car companies for several decades. "Processed ore from mines will enter by railcar on one side and finished battery packs will exit on the other," detailed Musk, as quoted by the news source. Apparently, Tesla plans on constructing a factory capable of doing just that, with Panasonic supporting the car manufacturer with the machinery and lithium-ion battery cells required to make the operation a success. Musk predicted the facility will help the corporation reach its goal of distributing more than 100,000 cars annually by the end of 2015. Tesla and Panasonic are still shopping for a location to built the facility, leveraging spend analysis platforms to ensuring transporting raw ore to the factory will be economically sustainable. It'd be optimal for the two companies to use supplier relationship management deployments to develop connections with companies that can provide any additional materials Tesla will need to manufacture the batteries. In addition, Tesla should work to find engineers that can take car batteries to the next level. E&E Publishing acknowledged the opinions of auto industry experts, who assert battery costs would need to decrease to $100 per kilowatt-hour in order for electric vehicles to possess a significant cost advantage over gas-powered cars. As of now, Tesla produces vehicle batteries that stand at nearly $250 per kWh, but this hasn't dampened Musk's confidence. "It's heading to a place of no contest with gasoline," he maintained, as quoted by E&E Publishing. Marketing analysis aside, the corporation is leveraging the right strategy. Musk pointed to climate change and how optimizing electric car efficiency will help humanity work toward preventing a worldwide natural disaster from occurring. Appealing to consumers with good intentions is a smart approach to employ, but Tesla still needs to assign enough attention to ensure it's reasonable for people to purchase its products.